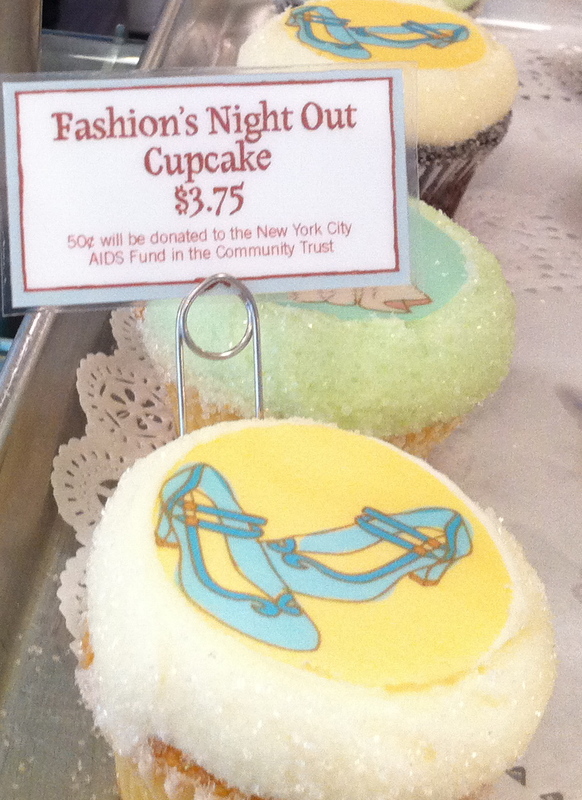 My five blocks is bustling as Fashion’s Night Out approaches tonight. 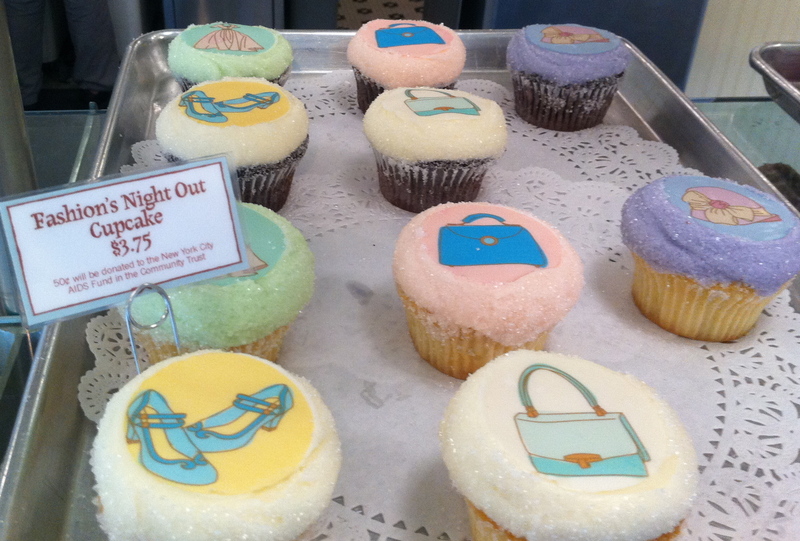 In case you’re hungry along the shopping route or just want a fun (short-term) memento, stop by Magnolia Bakery for specially decorated cupcakes showcasing shoes, bags, dresses and hats. 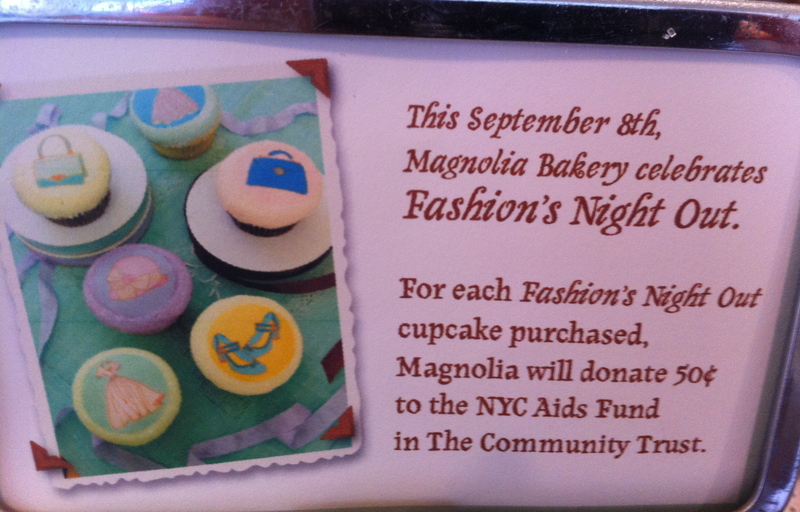 Plus, for each Fashion’s Night Out cupcake purchased ($3.75 each), Magnolia will donate 50 cents to the NYC Aids Fund in The Community Trust.